Located in Ames, Iowa, the State Forest Nursery provides quality native Iowa seedlings to landowners. 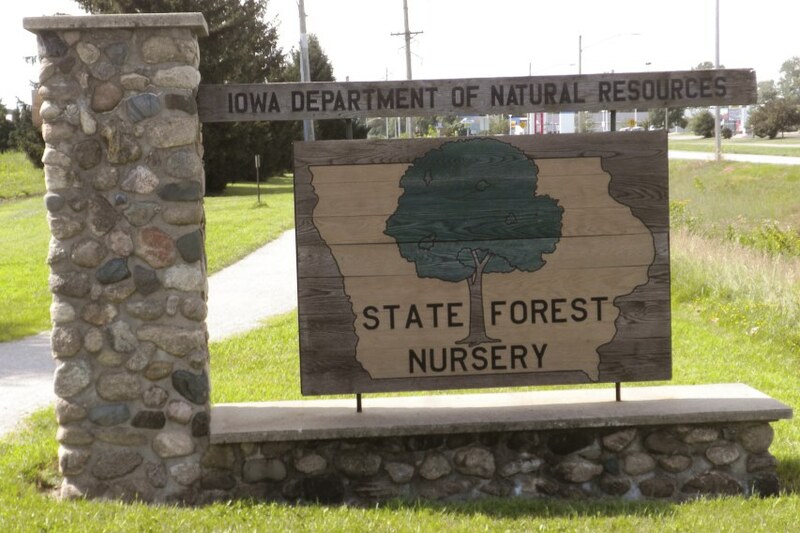 The nursery is owned by the Iowa Department of Natural Resources and managed by a team of forestry professionals with a long history of helping Iowans with their tree planting needs. Whatever your planting goals, whether to create wildlife habitat, expand timber production, establish erosion control measures or to beautify the landscape, the nursery offers affordable seedlings and expert advice to be successful. Choose from more than 40 native Iowa species of hardwood trees, shrubs or conifers. Orders can be placed between August 1 - May 31. While placing your order, you can choose your shipment window and you will receive an email message at the email address provided at the time your order has been shipped. The seedlings should arrive at the shipping address within 1 to 3 days after being shipped to a Midwest state. Shipments to states outside that area could take additional time. No signature is required. Fall shipments start the last week in October and spring shipments start the first week in April. Orders must be paid in full before shipping. In some cases due to natural causes, inventory may run short for a species you have chosen. If this occurs we reserve the right to offer a refund or substitution. The seedlings will be bare-root and packaged in labeled plastic bags. Those bags are put into a 56" tall shipping bag that could hold 50-500 seedlings, depending on the size. The shipping bags will normally weigh anywhere from 10 - 35 pounds. There will be storing and planting instructions printed on the shipping bags. Under normal conditions, the seedlings should be planted within 10 days of receiving them for best results. For more information about shipping, please visit our FAQ page.